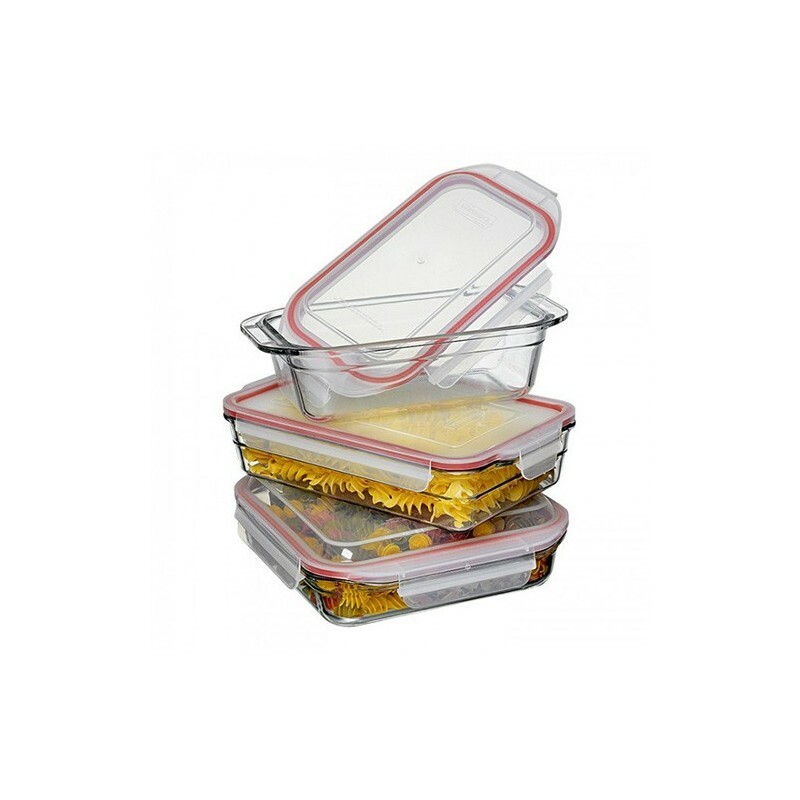 Oven safe bakeware set contains three large glass bakeware pieces with leakproof lids for storing leftovers. 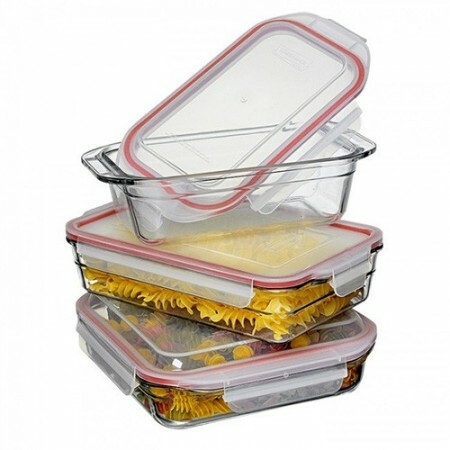 Glasslock tempered glass food containers with clip shut BPA free plastic lid. Contains 1 x 2.2L rectangular baker, 1 x 1.75L loaf baker and 1 x 2.1L square baker. RRP $159.00. Buying this product = 94 Reward points for Members. Your cart will total 94 points = voucher of $4.70. Not a Member? Join at checkout to claim these points.